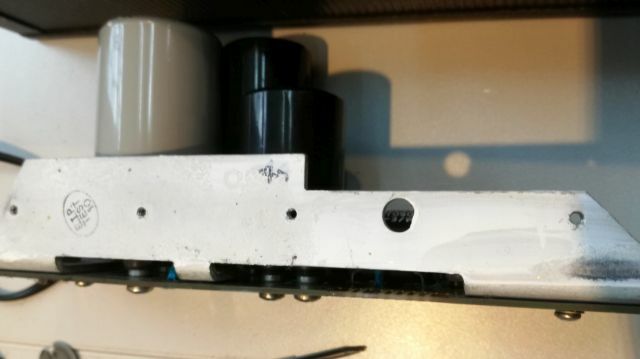 The U2508 quill only has a rather coarse indicator, merely, a printed scale (which I had to replace with a new scale, because the old one was completely worn). Still, the quill can be adjusted quite precisely by using the handwheel that will allow a rather precise adjustment, with 2 mm pitch per turn. The machine has not enough space for a glass scale, and this would be an overkill anyway. 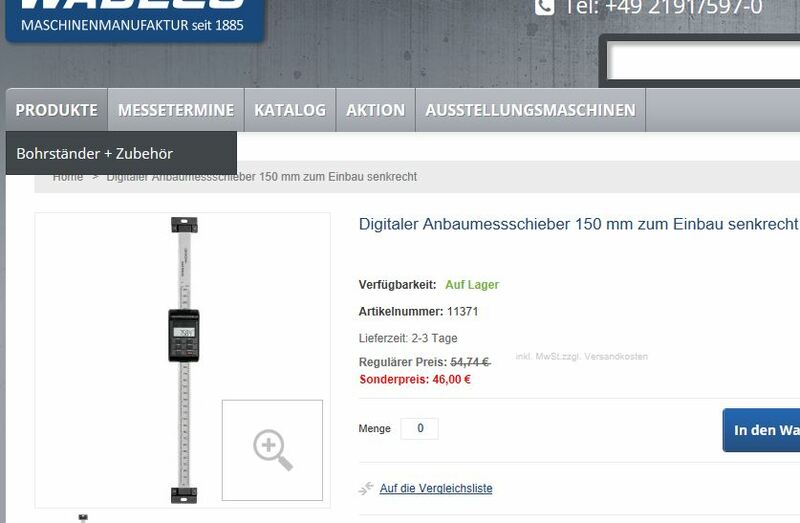 Looking around, I found this Wabeco model 11371 digital caliper, 0.01 mm resolution, and usually accurate to within 0.08 mm – most are better than that. The price is quite reasonably, found one set for EUR 38.99, delivered. 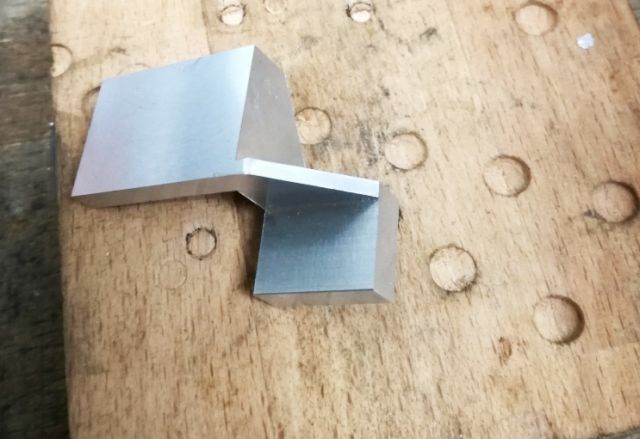 For such price, don’t expect too much precision – the mounting holes were quite off-position, and Wabeco confirmed that this is quite common for these units… well, you have to machine the bracket to the caliper’s mounting dimensions, but we aren’t going to produce these brackets in series anyway. 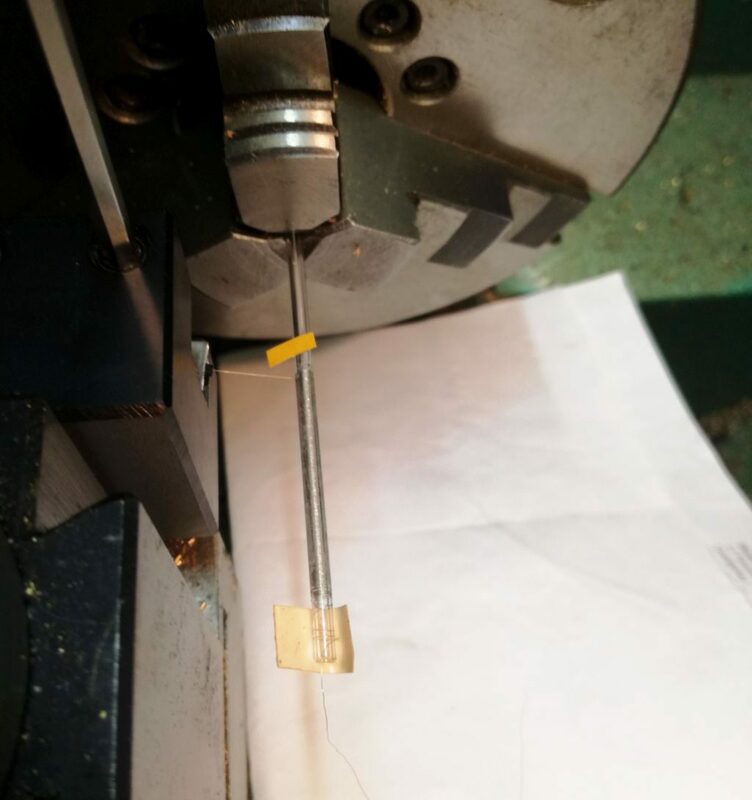 To connect the indicator to the quill rod, a quite sophisticated piece was machined from a scrap piece of high-tensile aluminum alloy. 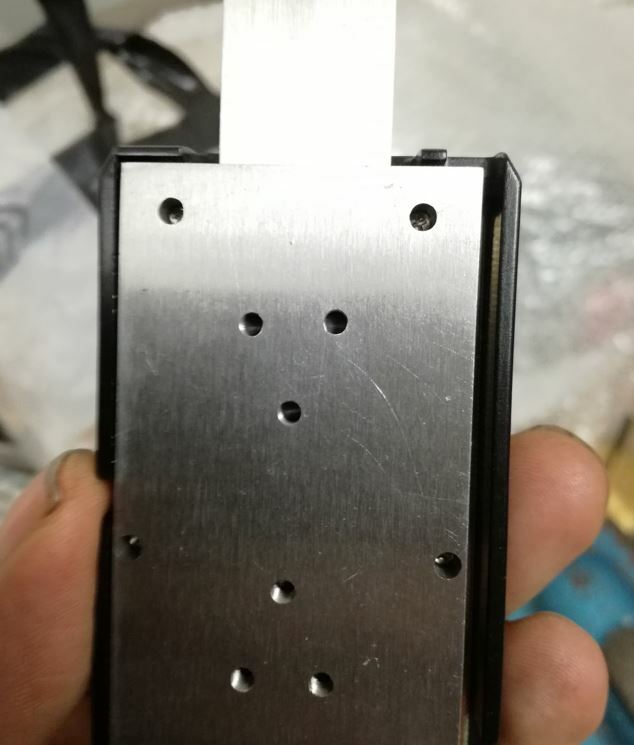 A few holes drilled and tapped, and – it’s working quite fine. 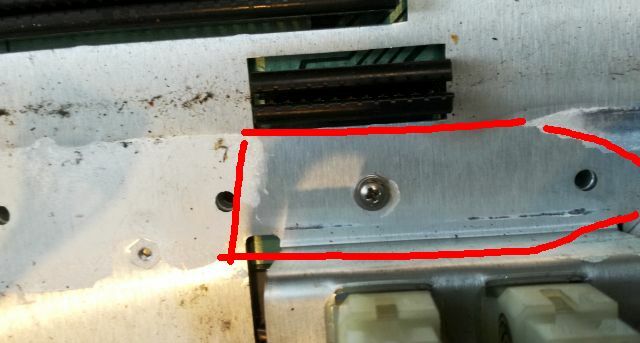 For the mounting of the readout unit, a simple strip of brass was found to be good enough, mounted with two M3 screws to the U2508 – so it can be easily removed, in case the future owner of the U2508, if any, doesn’t like the addition. Some tests were done, and within 20-30 mm of travel, I could not find any measurable deviation. 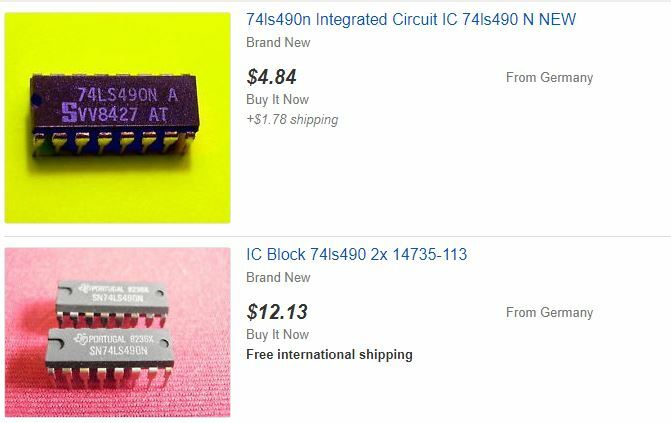 Don’t have any long gage blocks here but may check it later in case I need super accuracy for some special work. 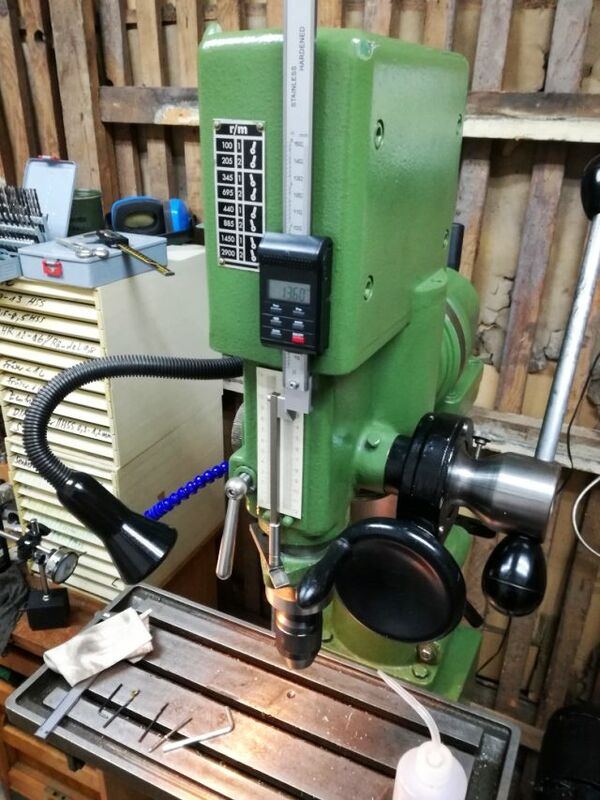 Recently, I have moved a U2508 milling/drilling machine to my Ludwigshafen workshop (from the remote workshop, where there is more space for heavy machinery). It’s a really good machine, slim, but very well built and useful for all kinds of drilling and milling work. It has an automatic feed in in one direction, and the dials are usually quite accurate. 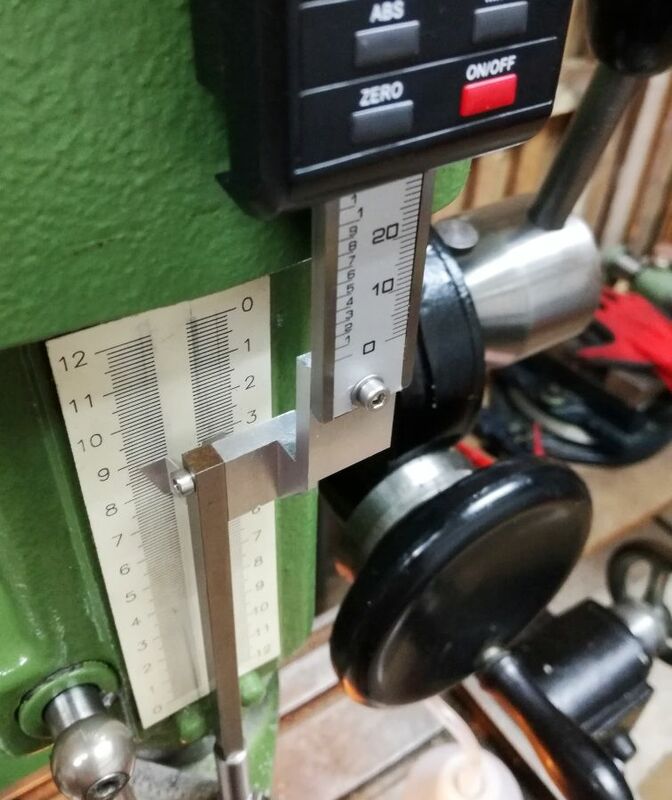 Still, it will be a great advantage of time saving and some accuracy improvement to add a linear scale, at least in the manually-moving direction, so I can mill shoulders and similar features to a very high level of precision and repeatability. Also the quill will get an electronic readout – but this will be covered later. 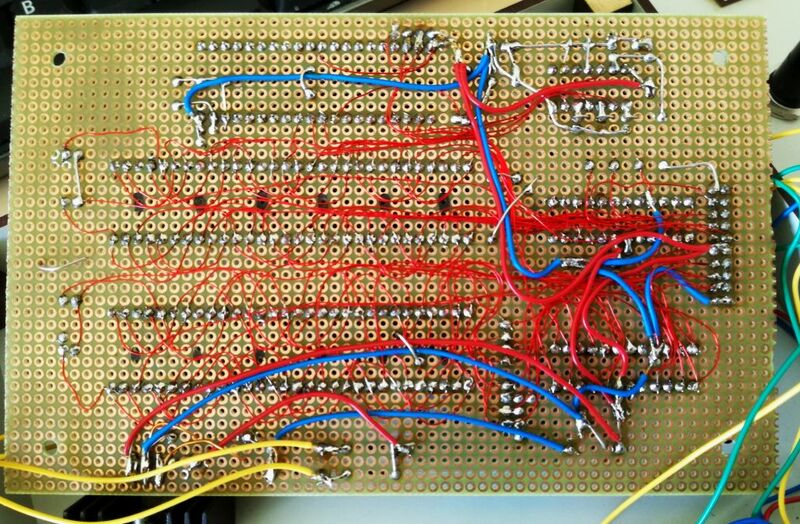 Luckily, I had a simple readout around, dating back to 2007, based on an ATmega8515, with some logic, and MAX7219 display drivers. The case was made from melamine composite boards, these are oil and grease resistant – excellent for workshop use. 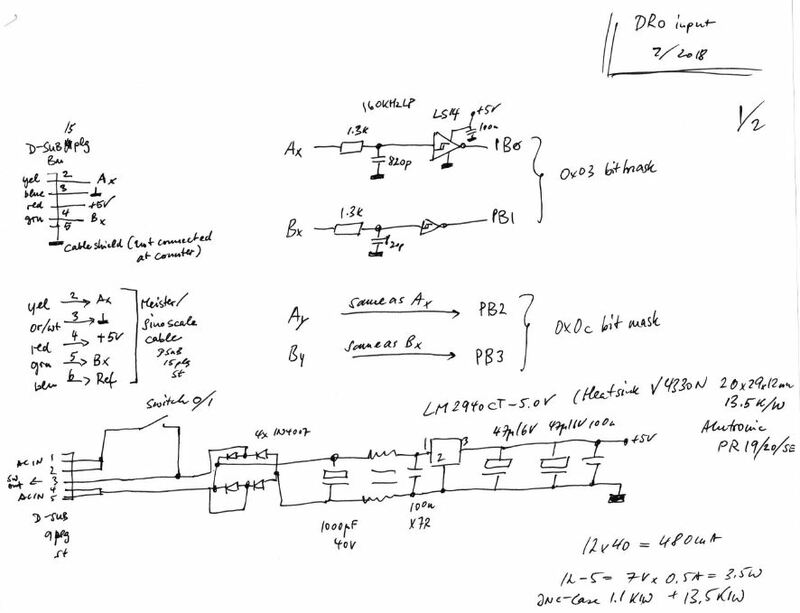 Here, the schematic of the input section. The sampling frequency of the counter is about 62.5 kHz, so the TTL signals from the glass scale first pass through a ~160 kHz low pass filter, and are then squared up by Schmitt triggers, 74LS14. 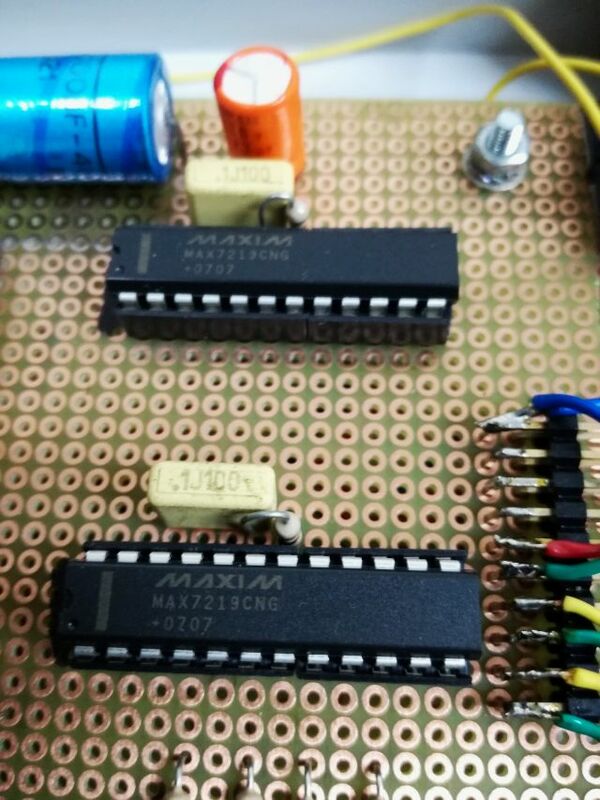 The main processor is running at 16 MHz, and very few extra parts are needed to drive the LED 7-segment displays, using two MAX7219 in chain configuration. 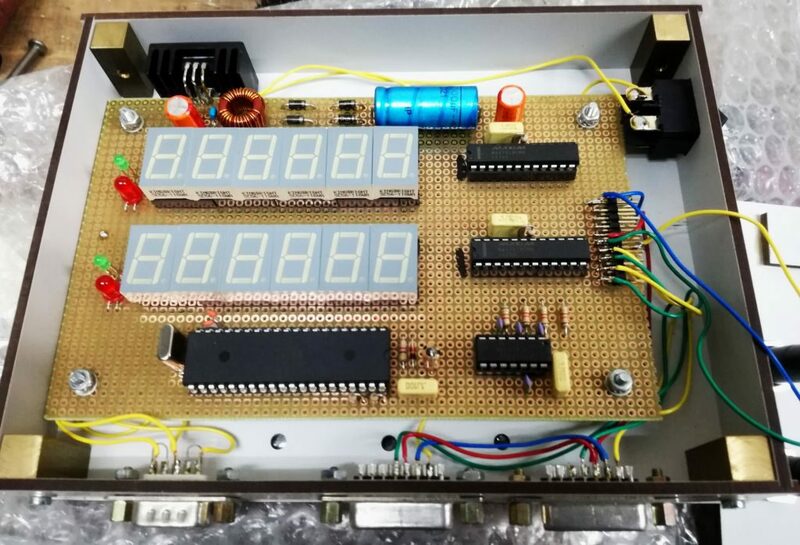 The LED segment displays are much preferred for workshop and DRO use, because speed and clarity is everything for this application, and nothing can really replace the good old LED 7-segment displays here. 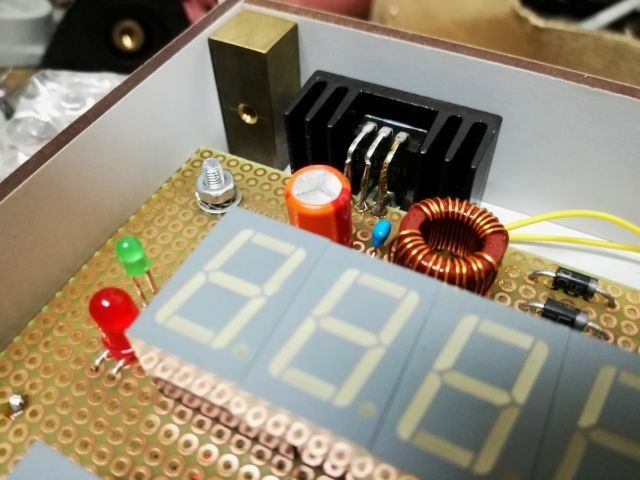 – the unit is drawing up to 0.5 Amps at 5 Volts. The wiring, all quickly soldered together with some copper wire. The code – it uses a gray code approach with continuous sampling of the A/B inputs. 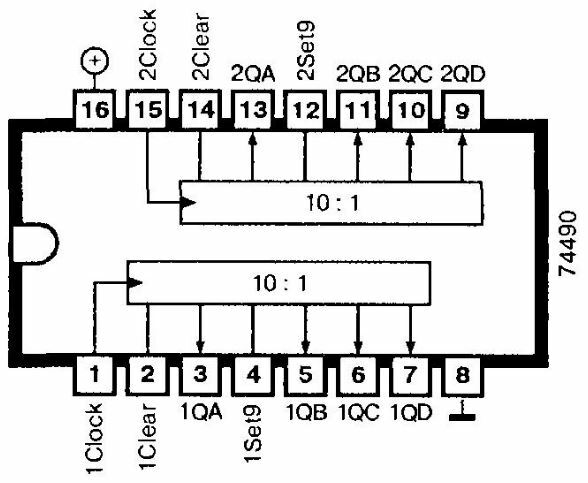 This approach is easily coded, and has very deterministic timing, and noise immunity. 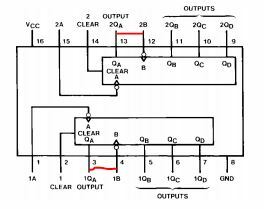 Any errors found (like, if both lines change state within on sampling cycle) will be indicated by a red LED. 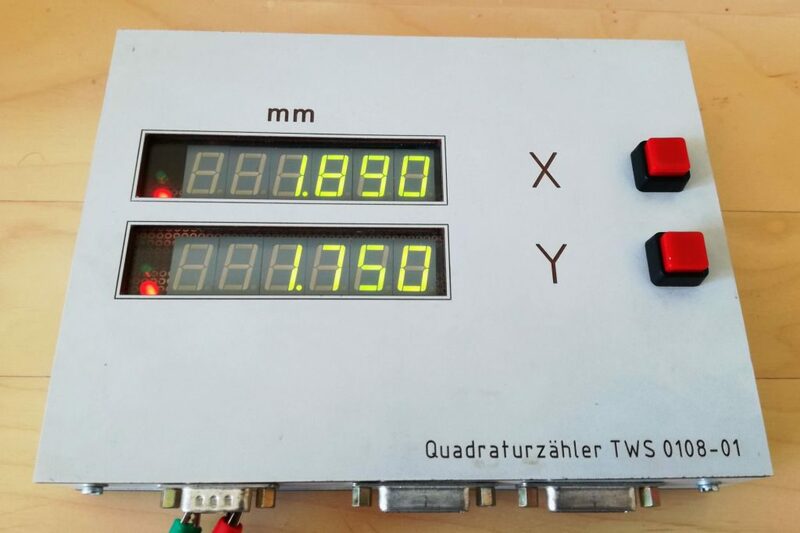 Now, I only need to mount the glass scale (found one that fits in may parts collection…), and replace the “minus” LED (a 3 mm LED) with a minus bar-shaped LED, just for the better looks. Note that the software has provisions for a matrix key-pad, but for the present application, the “zero” buttons are all that is needed. 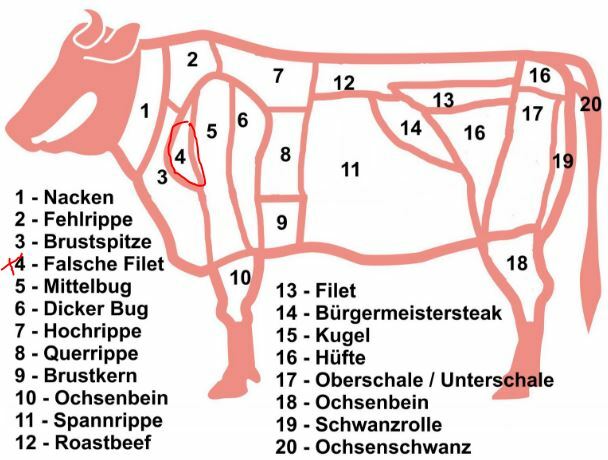 The chuck tender, also called “bug filet” or “fake filet” in German, is ideally suited for slow cooking. Here my favorite recipe (most just to remember myself, but you may give it a try as well!). Step (1): prepare/wash/dry the meet, about 3-3.5 pounds are ideal. Step (3): put the meat into a roaster, or other container that is fire-proof and has a lid. Step (4): add a mixture of about 200 mL of water, 50 mL balsamic vinegar to the onions in the pot, stir thoroughly to remove and dissolve all residue from the pot, and add the liquid to the roaster. You may add some other root vegetables, carrots etc. 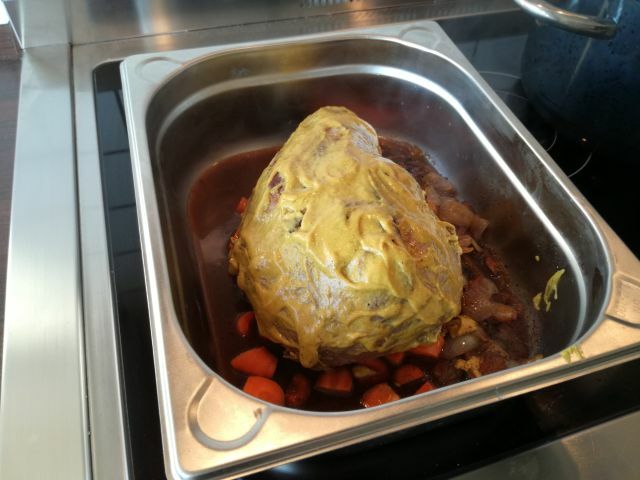 Step (5): cover the meat with a mixture of mustard, salt and pepper. Cover. Step (6): put into the preheated oven, at about 130~140°C. Let cook for about 4 hours. Usually no need to touch, open, etc. – provided the roaster is tightly closed. You can also cook it at 120°C for 5 hours. Under no circumstances use a temperature above 140°C, or any type of short cooking with this meat – it will be tough, and can’t develop the flavor. Step (7): take the meet from the roaster (check core temperature if you wish, should be about 80°C). Let it rest for 10 minutes. In the meantime, bring the liquids in the roaster to a boil, add some salt, as needed, and add a bit a mixture of starch and water (while boiling and stirring) to give the sauce some texture. 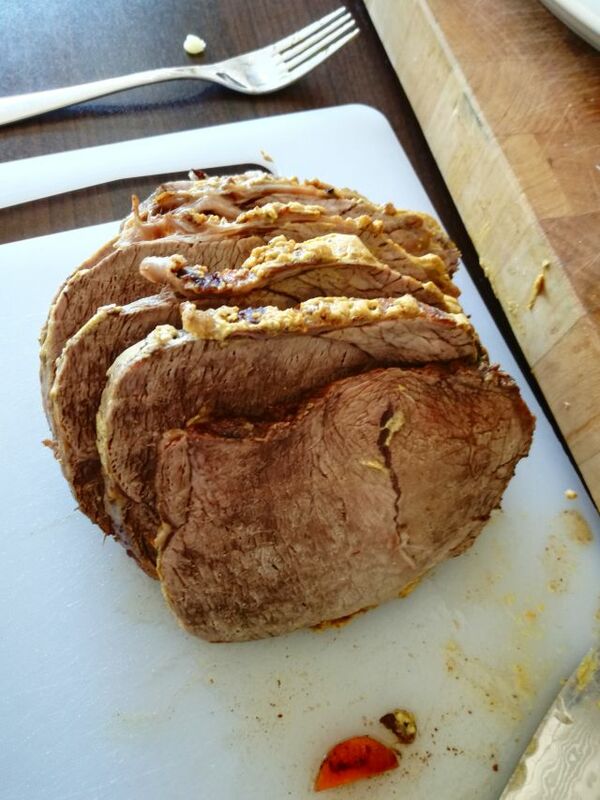 Step (8): cut the meet into rather this slices. Serve with some mashed potatoes. This dish can be easily stored in the freezer, and re-heated any time. The meet even improves in tenderness and taste. These are really delicious. In case you want to try, here is the recipe. 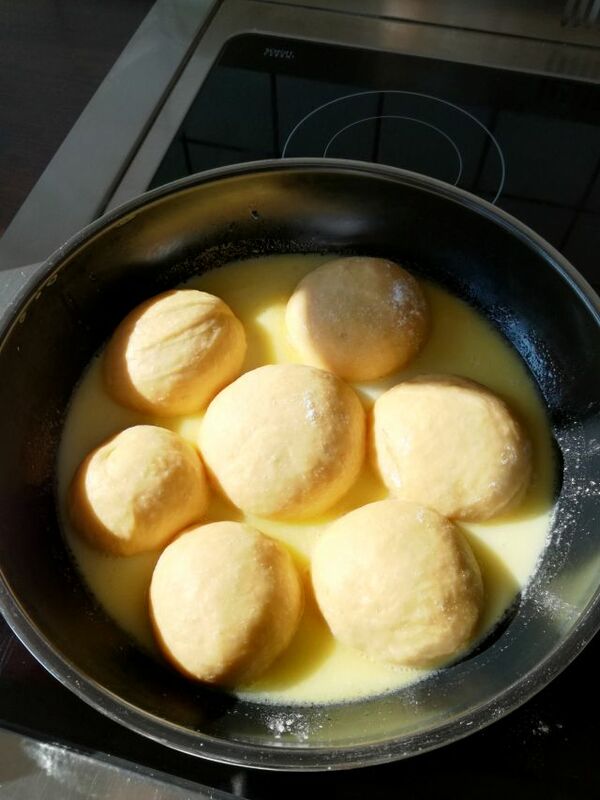 Prepare a soft dough, let rise for about 1 hour or double size. Then, knead properly and form 7 pieces, and let rise for about 15 minutes. 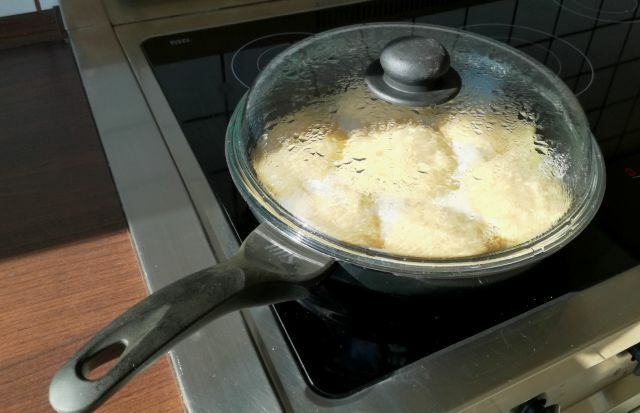 In a deep (or medium-deep) pan heat a mixture of 100 mL milk, 30 g sugar, and 20 g butter. Put the 7 pieces into the pan, and immediately close with a tight-closing lid (never open until done!!). Bring to a strong boil, for just a moment, and then regulate down the heat to mid-head (best done on induction or electric stove, may be hard to avoid burning the crust on a gas stove). 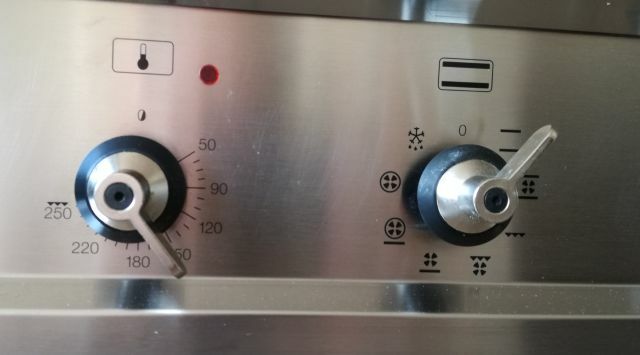 For my local stove, I use setting 4 of 8 (max). After about 20~25 minutes, the dumpling will fill the pan, and are done. Best served with vanilla sauce, strawberry sauce, or similar. 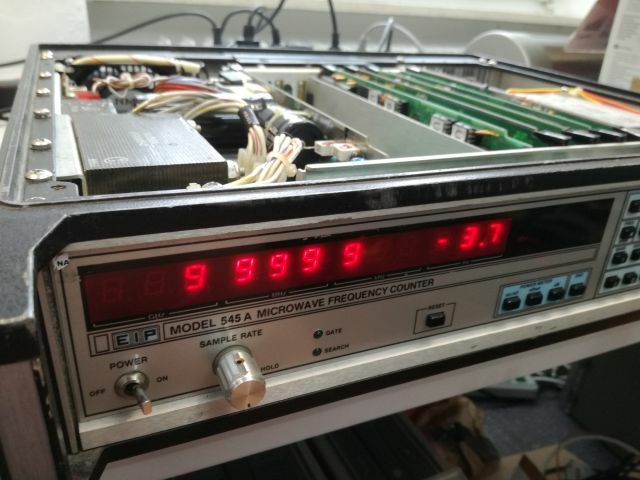 Another one of the EIP 545A counters, that are for some reason very frequently seen at my workshop. 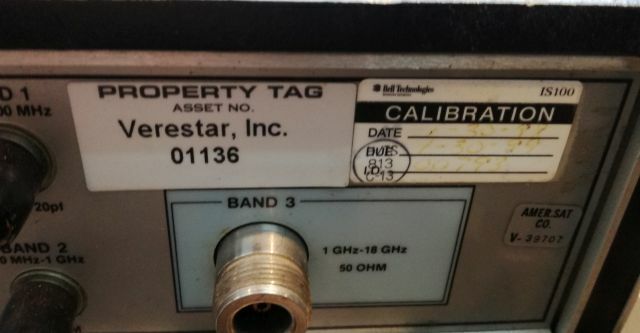 The reason for this instrument being here on the bench is simply for the fact that I found it on ebay, for a very reasonable price, non-working, but with the 04 OCXO option. The option 04 provides 10^-9 level frequency stability, per day. 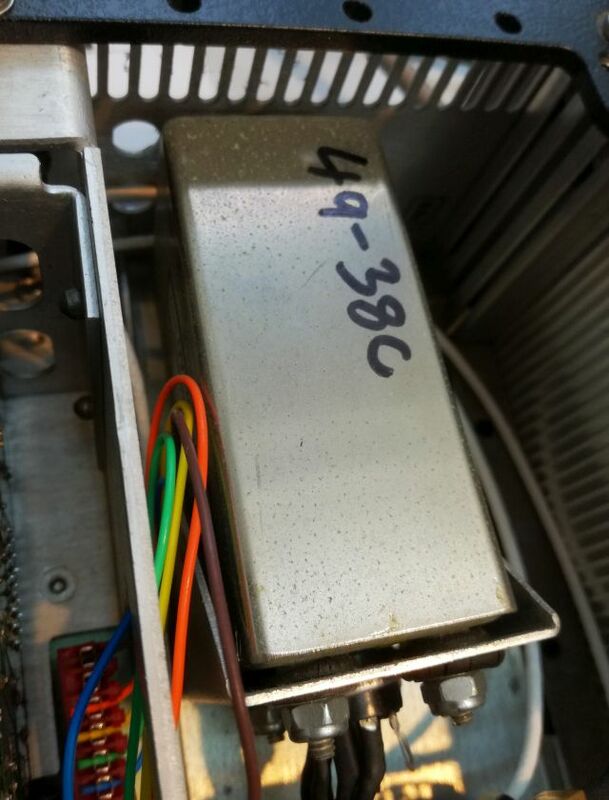 The actual OCXO unit is an Ovenaire 49-38c model 10 MHz oscillator. Very similar OCXOs are used in various HP equipment of the time. 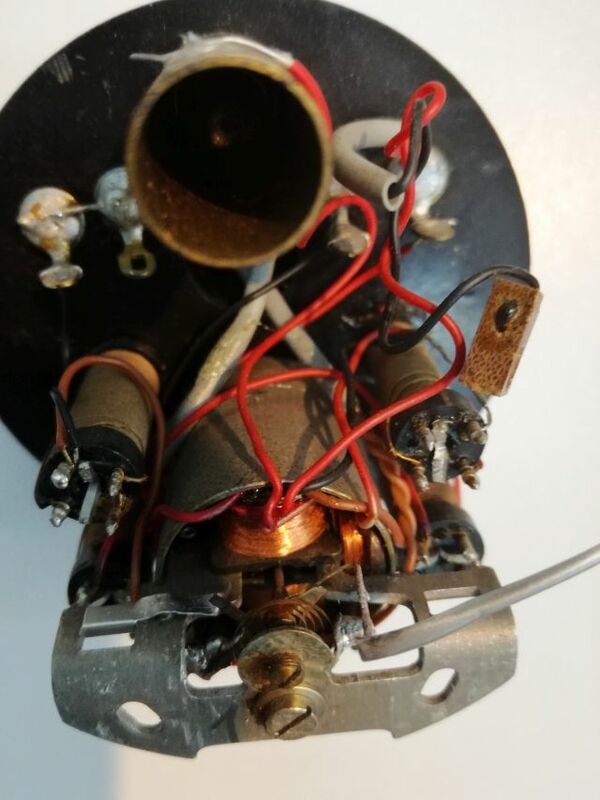 The first item to fix – the very noisy fan. An ETRI model 126-LF-182. Fortunately, a very common 115 V model. 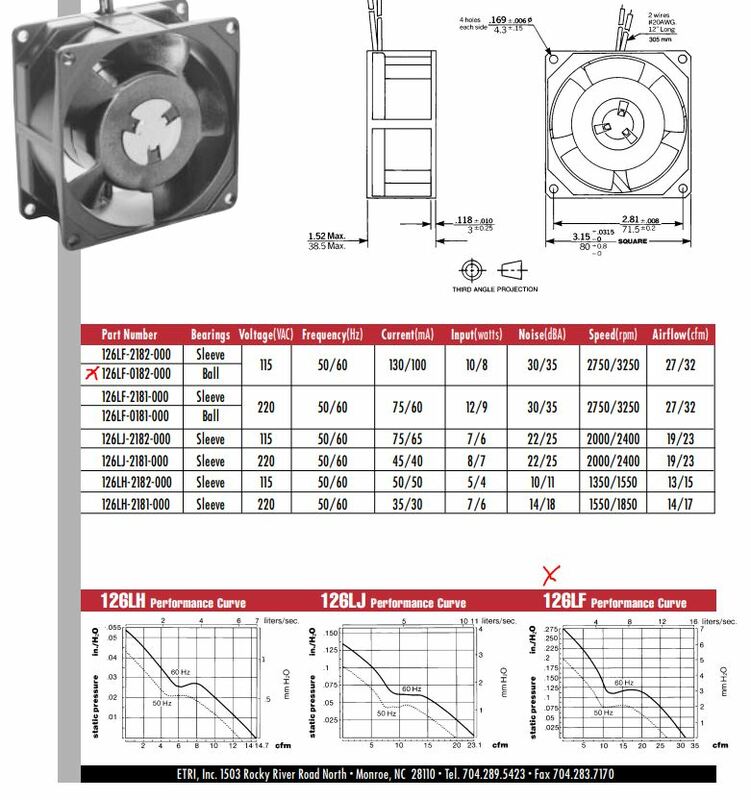 Replacing fans, you can’t just go for the flow rating, but you also need to consider flow direction, static pressure (mostly related to the blade shape and RPM), noise level, lifetime, and bearing type (ball bearing). Found a very similar NMB fan, which is available from new production, at a reasonable price. For comparison, the ETRI data put into the NMB pressure vs. flow characteristics, as red dots. Indeed, quite similar. 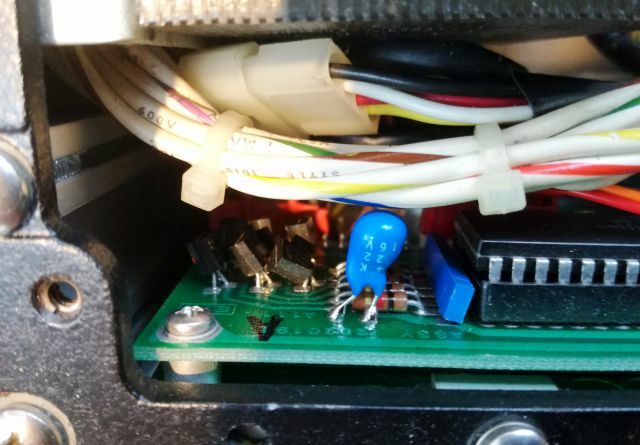 When changing the cable, from the old to the new fan (EIP uses a special connector, so I needed to re-use the old connector) – seems EIP didn’t trust their crimping, the cable was additionally soldered to the crimp pin. 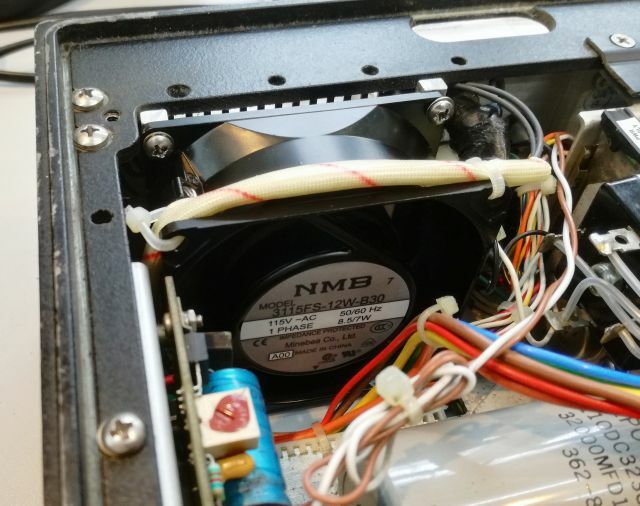 The new fan installed, make sure to use some insulation tubing (not present in all EIP counters, but was present in this one, and a good idea, because the fan cable runs directly underneath the top cover, and over time, could be damage and expose mains voltage to the case (not a good thing!). 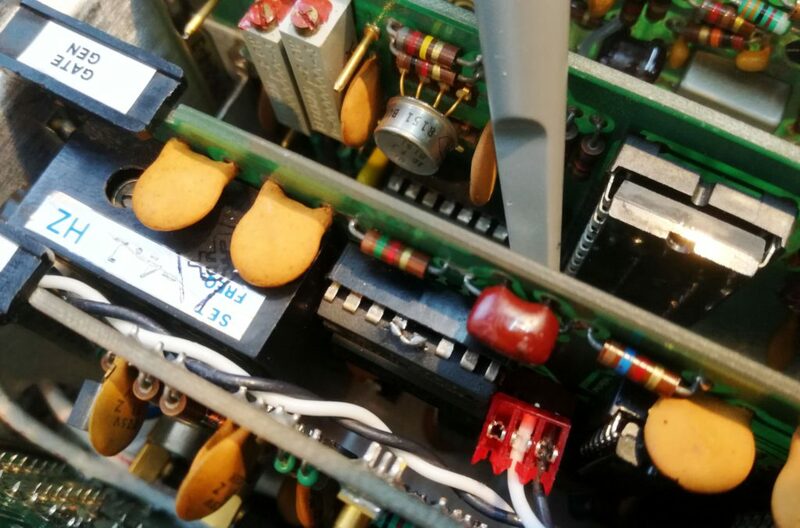 Next fix – a broken tantalum on the front panel (capacitor was OK, but one wire broken off) – fortunately, it could be soldered from the top, because disassembling the from panel is quite a time consuming task. Finally, all these things fixed, but still a non-working EIP. 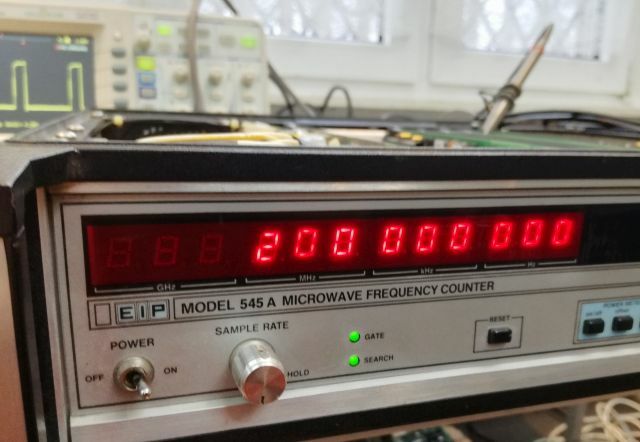 It would not even count low frequency, or show any reaction on the display. 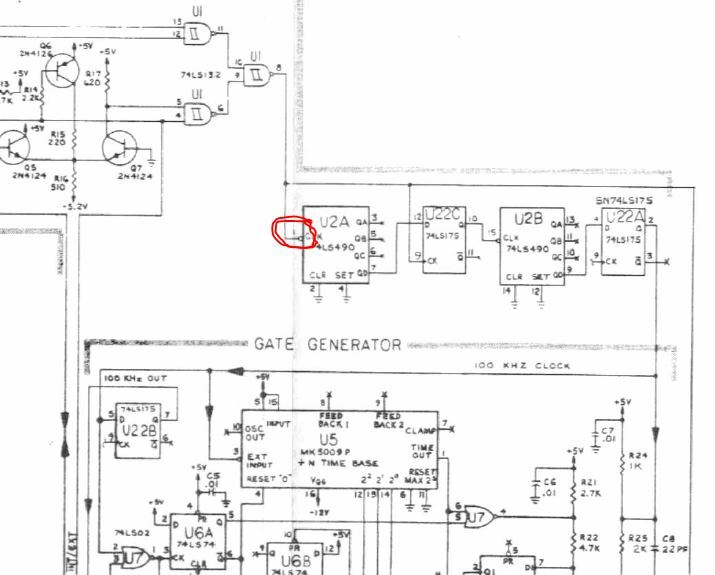 All voltages OK. That’s strange – most likely something with the CPU, data bus, or similar. So, swapped the main CPU/control board with a know-good assembly, and the EIP came back to life. 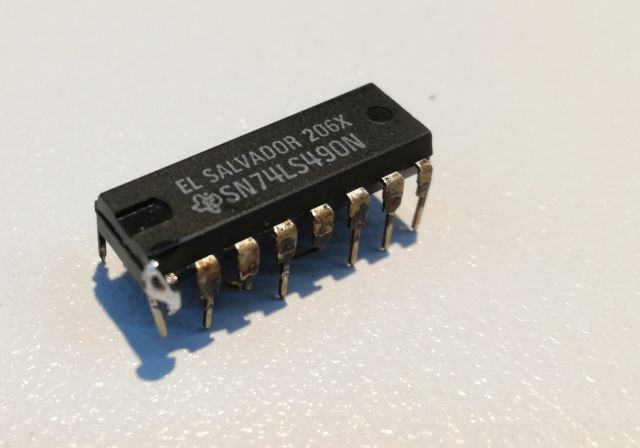 After some checking and probing, found one EPROM that had corrupted data – no wonder it didn’t start up. 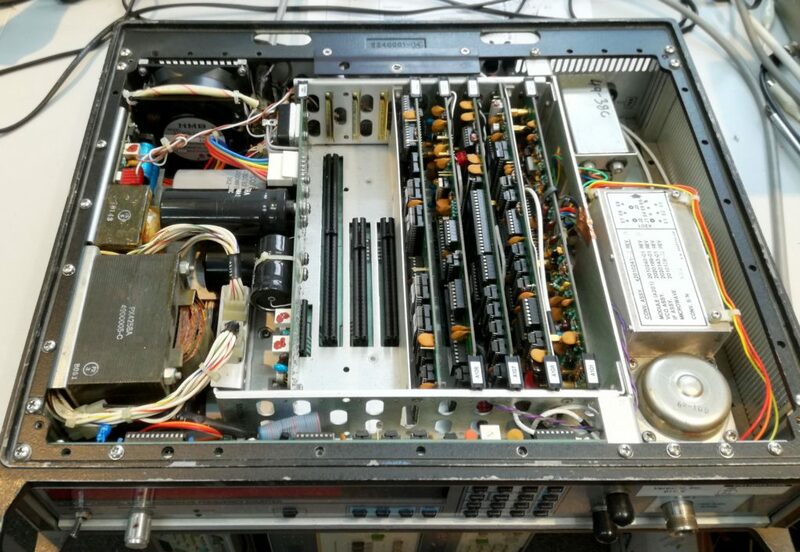 While cleaning the power supply (removed the card from the main board), another issue showed up: EIP didn’t use sufficient thermal grease to make good contact of the assembly cage (used as a heat sink), and the heat conductor of the power supply assembly. All screws were tight, but no contact. So I cleaned up everything, and added some more generous amounts of a good thermal compound. 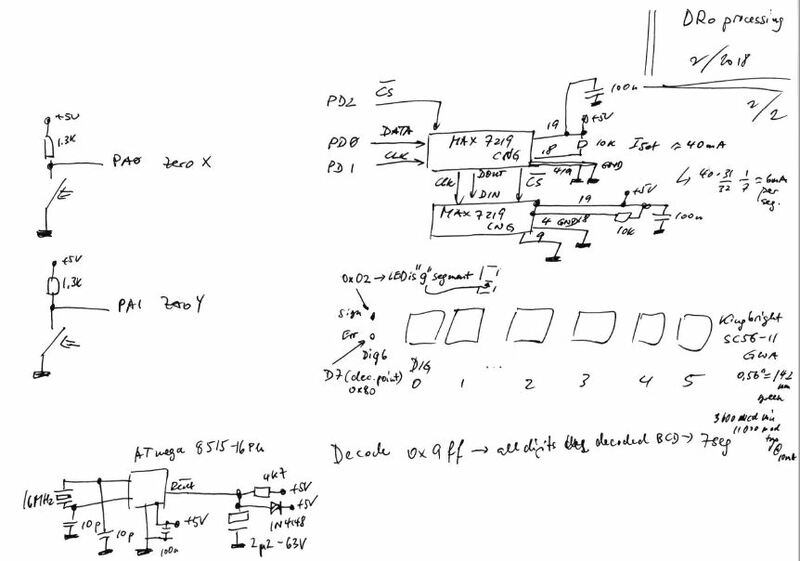 This is the top view: you can see the OCXO auxiliary power supply to the left, and the OCXO in the right upper corner. 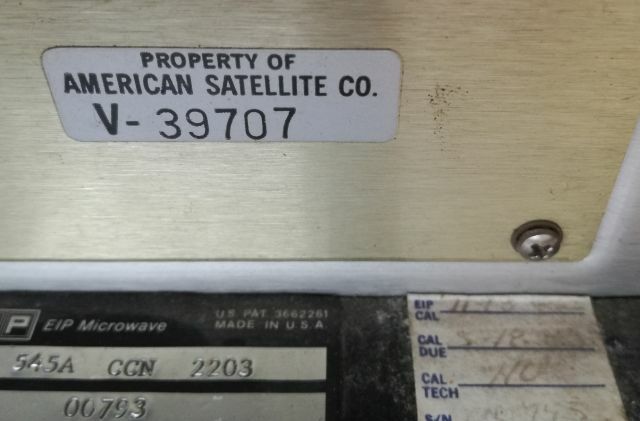 Also quite interesting, this unit has seen some pretty famous owners, including, Bell Labs, AmerSatCo, and Verestar, Inc. – probably, it has seen good use, also judging from the noise fan, which has 50 khours+ lifetime. 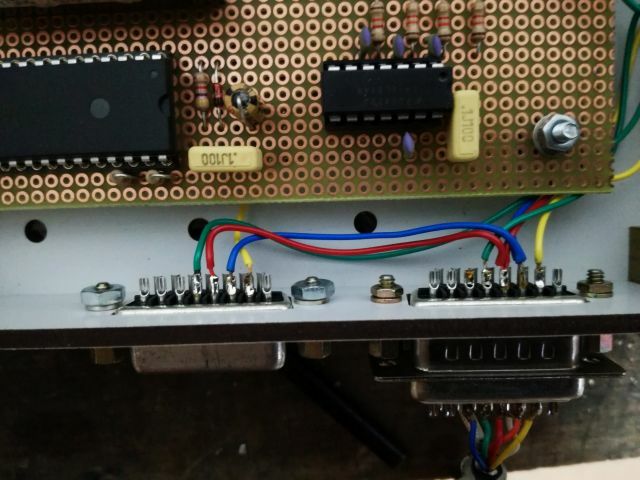 One all had been fixed and confirmed running, I could not resist to also add the 02 option Power Meter Upgrade to this unit, it is in the end just few eproms, and some additional parts for the A107 assembly. 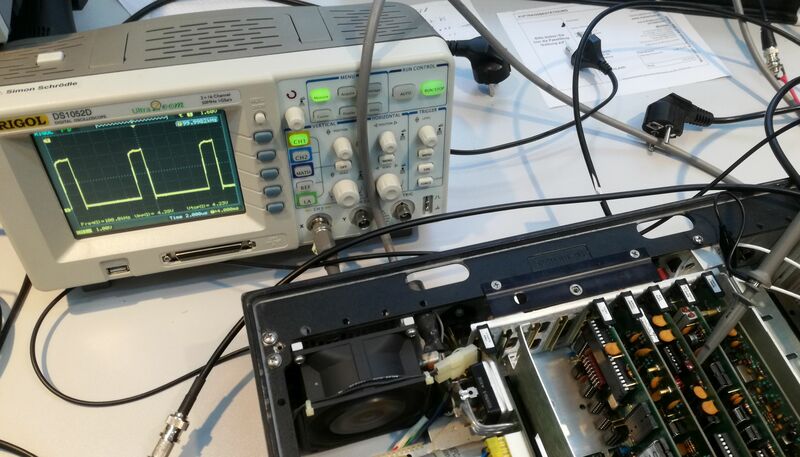 … counting at 10 GHz, and showing the power. 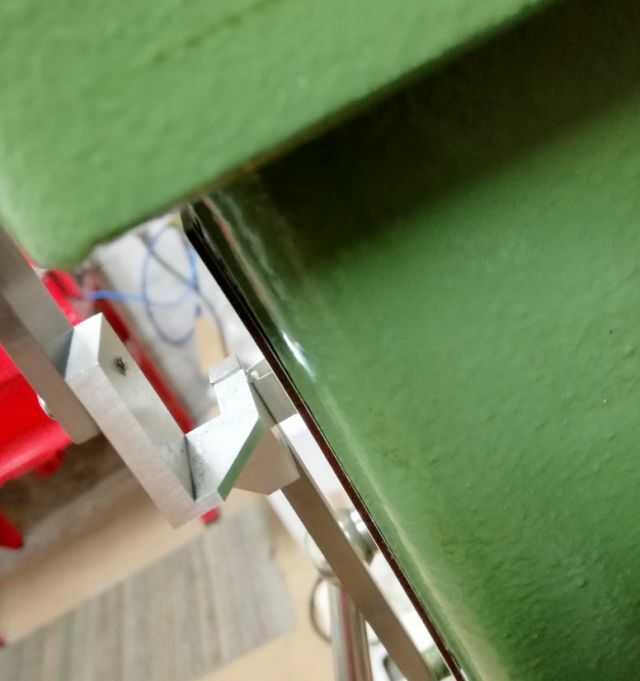 This is a short post about a very complicated and difficult repair. The function of the device is simple, it is an oil thermometer, of an old Deutz Locomotive, based on a resistance thermometer. Nowadays, virtually all resistance thermometers use platinum elements, but at the time, nickel was preferred for some applications, because nickel has a higher temperature coefficient of its resistance, giving about 62 ohms increase, per 100 ohms at 0°C, vs. only about 38.5 ohms, for platinum. 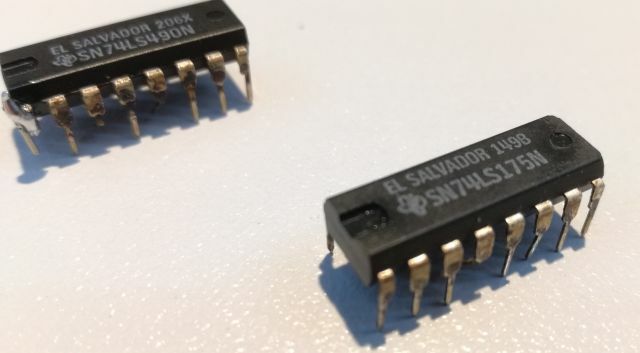 Moreover, the device used is a 50 ohms Ni resistance thermometer (Ni50), which is even less common than 100 ohms (Ni100). To add to the difficulty, also the thermometer itself is faulty, the pointer missing, the front glass damaged. All a bit rusty. 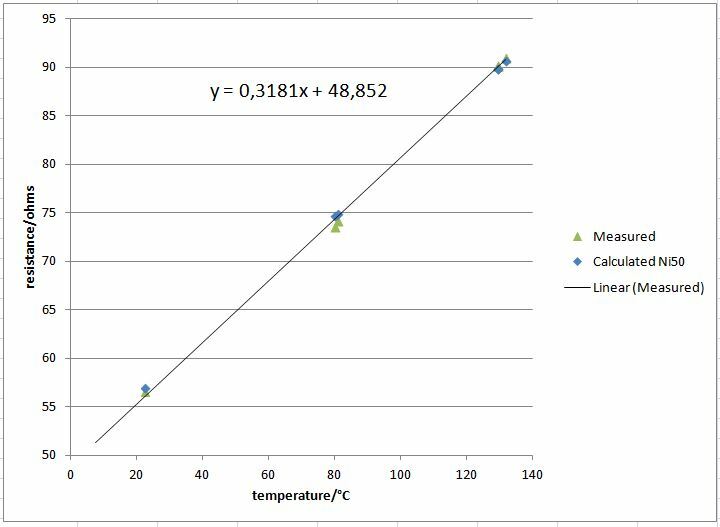 That’s the formula to calculate the resistance at any temperature – this is what we need to get. Now, we have several approaches to fix this. 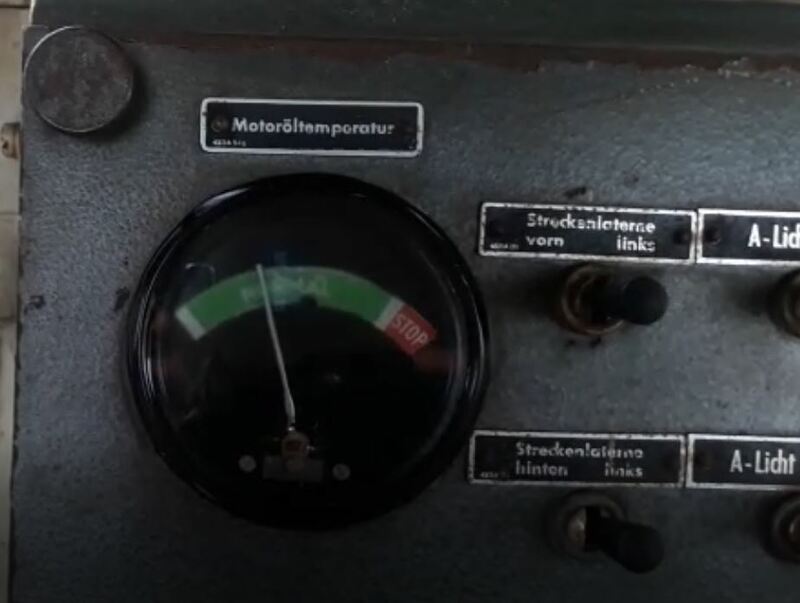 (1) Put in an electronic meter, to show the temperature – don’t want to do it, because it doesn’t fit to the locomotive’s age, and probably will fail soon with all the noise, oil, moisture, and vibration. (2) Use a modern Pt100 element with some extra resistance to get the readings approximately right – this could work, but the electro-mechanical resistance thermometer indicator uses a pretty large test current, about 20~30 mA, much more than the rating of current thin film Pt100 elements, and wire-wound Pt100 are very expensive, especially, the larger sizes. 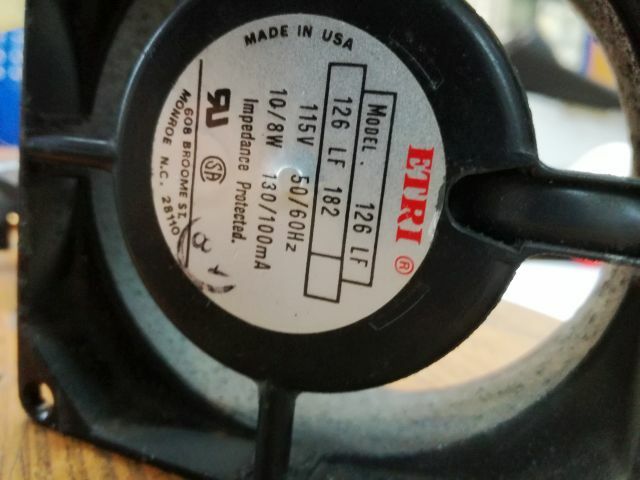 (3) Buying a Ni50 element, or two Ni100 elements. I tried, good luck, maybe for EUR 1000 you can get a couple made by some specialized company, custom order. Well, all these options can’t really work, so I decided to wind my own Ni50 elements. 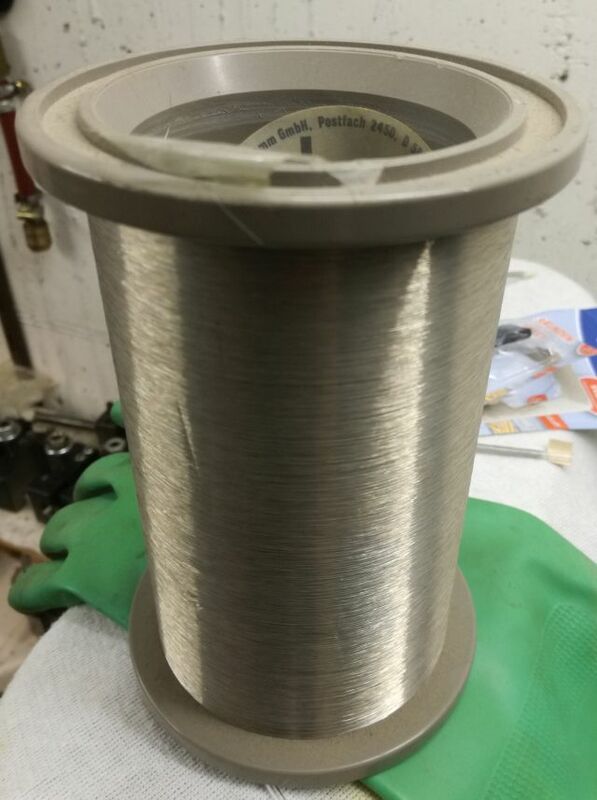 Fortunately, I had some Ni wire, 0.065 mm diameter, of a reputable supplier around in my workshop from another project (has been there for about 20 years! ), so let’s give it a try. 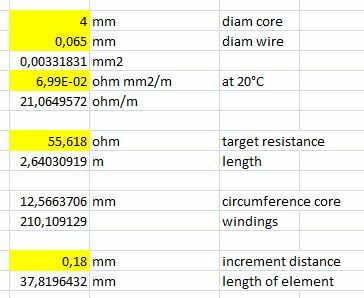 Some calculation quickly shows that a single layer or wire will be enough. 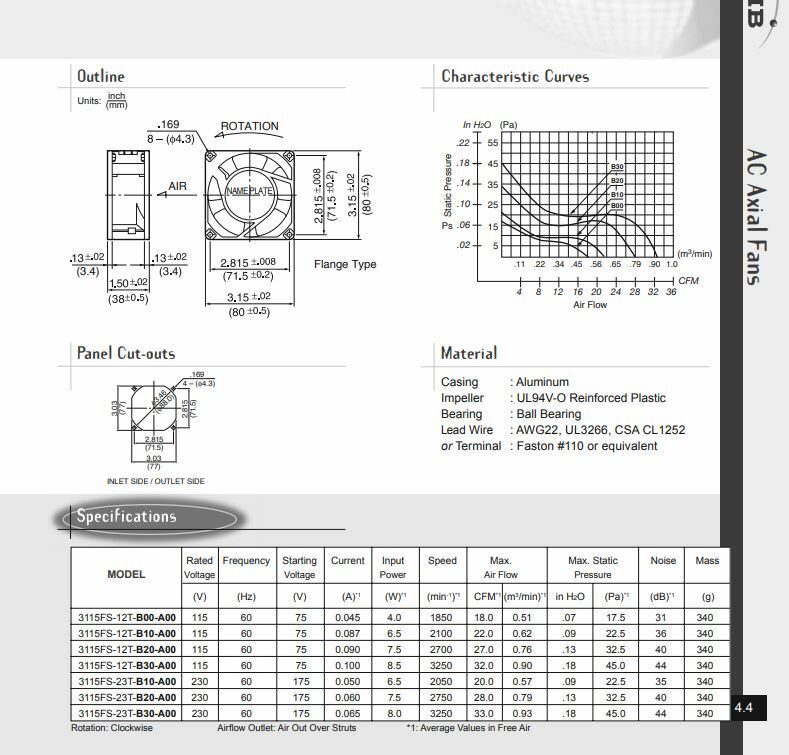 Such wire will easily work with the measurement current. Winding of course needs to be done with a machine, at about 0.2 mm pitch, you can’t do this by hand. 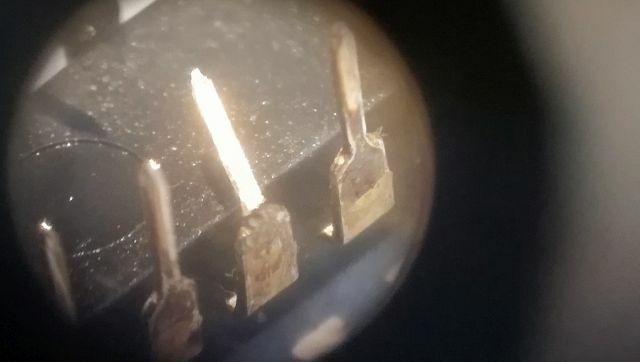 The elements were then measured to get the resistance corresponding to the workshop temperature, about 56 ohms, and fixed the wire in-place on the machine, with some super glue. 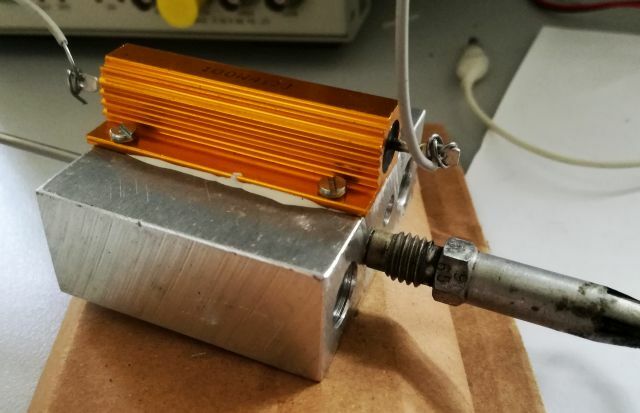 Afterwards, the wire was further covered with high-quality epoxy, and fitted into a thin-walled aluminum cylinder, for added protection, and thermal equilibration. 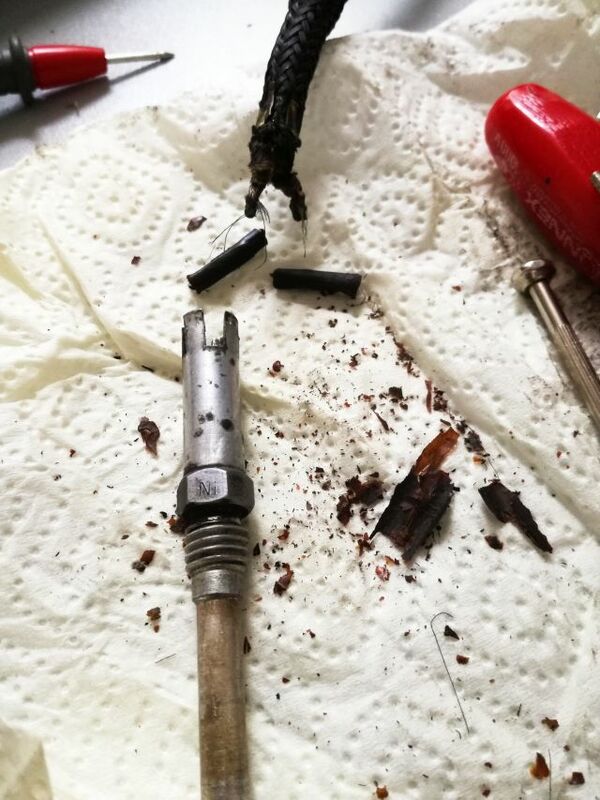 The old sensor housing had still some stuff in it (the old Ni wire, and some stinky resin), and almost impossible to re-use the old mounting case for the sensor. 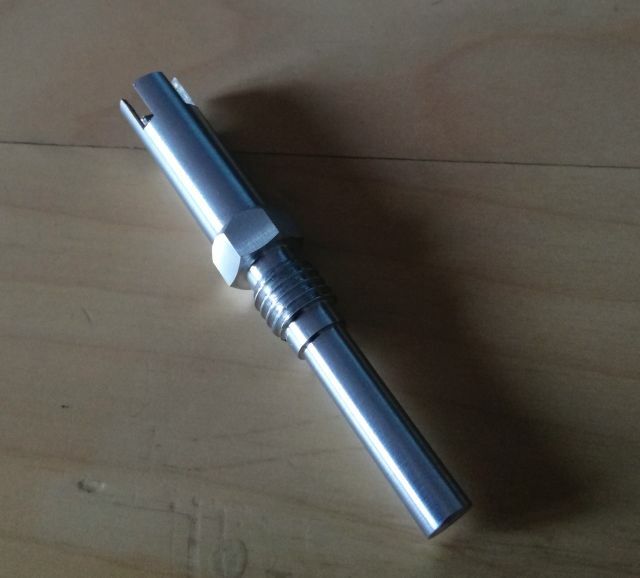 Fortunately, we have a CNC lathe around, so quickly machined a new case as well. 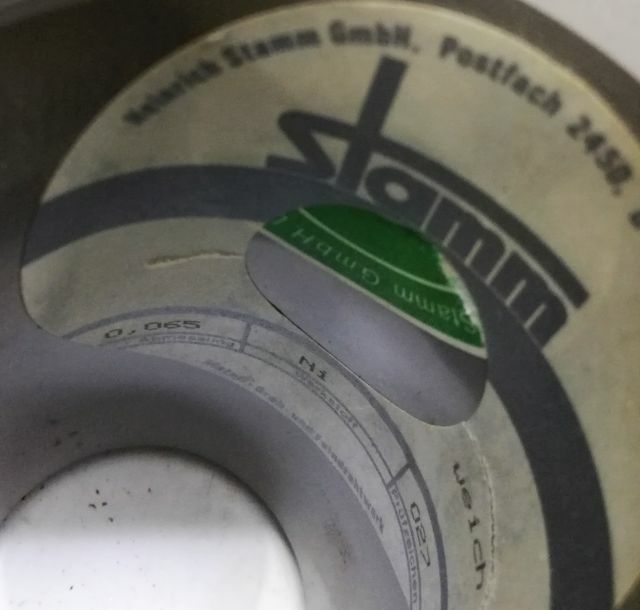 A layer of Capton tape wound around the protected element, just in case of some leakage current developing over time. The element was then put in the mounting case with some silicon-base thermal compound. 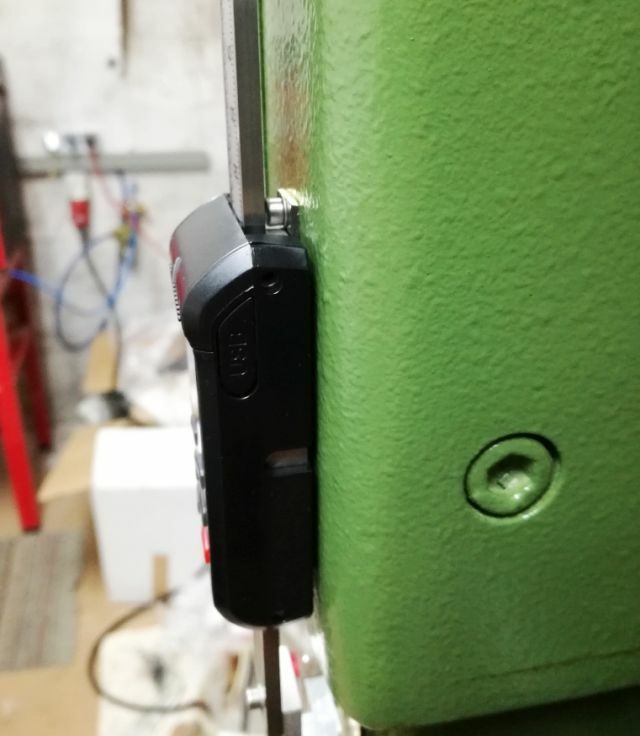 Finally, the sensor completed, connected to the old, steel wire braided cable. 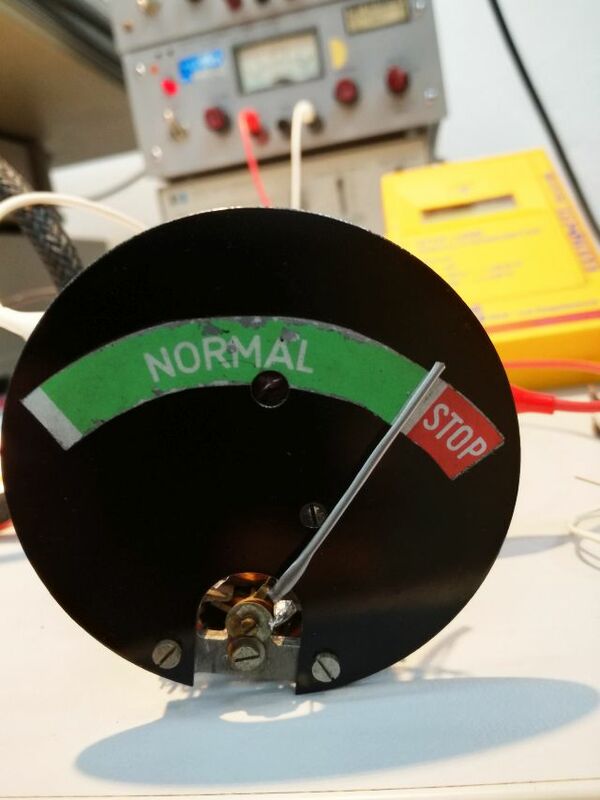 For test, a litte fixture was made, which can be heated up with a 4 ohms, “100 watt” resistor. Well, it easily gets up to 150 degrees C.
As you can see, all working pretty well! Some hours later, also the instrument fixed, dial and case sandblasted and painted, etc.